Pure electric and plug-in hybrid electric vehicles have become mainstream, as models like the Chevrolet Bolt and Toyota Prius Prime have made the technology accessible to most car shoppers. 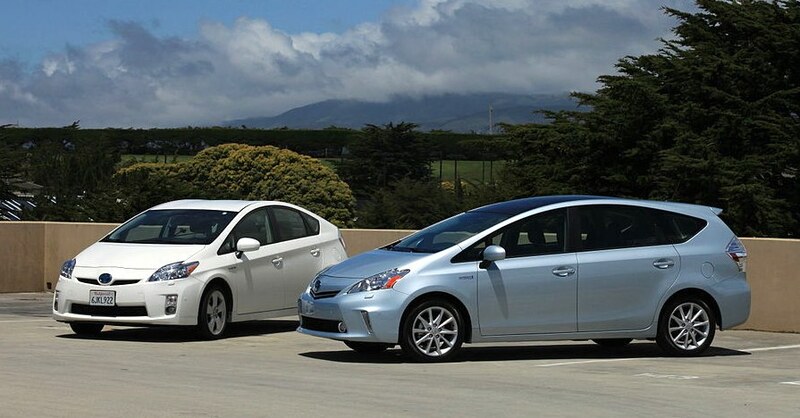 Both types of vehicles use an electric car charger to replenish their battery systems, which aids vehicle propulsion. Here’s a look at what these chargers are and how they work. Before examining electric car chargers, it’s important to understand the two types of vehicles that rely on them. 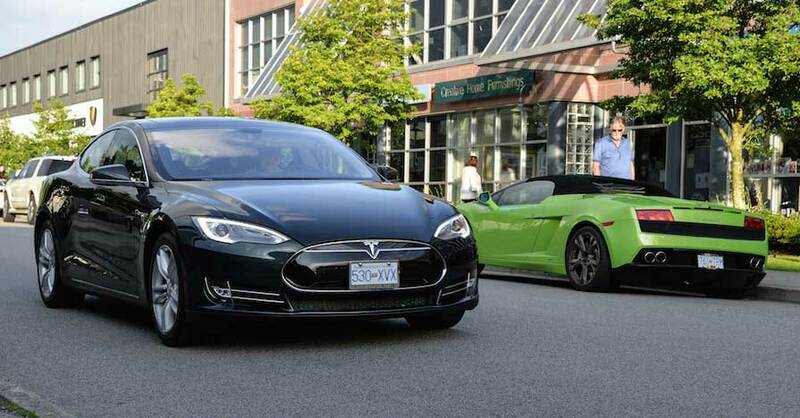 The first type is a pure electric vehicle (EV), such as the Tesla Model S and Nissan Leaf. Both expend electricity for 100 percent of their power. They store power in battery packs, which send electricity to one or more electric motors that turn the wheels and propel the vehicle. The second type is a plug-in hybrid electric vehicle (PHEV), such as the Chevrolet Volt, Chrysler Pacifica Hybrid and the BMW i3 with a range extender. Unlike EVs, PHEVs offer two sources of power: electricity and gasoline. This means that once the battery pack exhausts its electricity supply, a gas engine provides propulsion. Thus, PHEVs usually offer a longer driving range than EVs, which mitigates the range anxiety electric vehicle owners sometimes experience. Once depleted of electricity, both vehicle types must connect to an electrical source to replenish their battery packs. 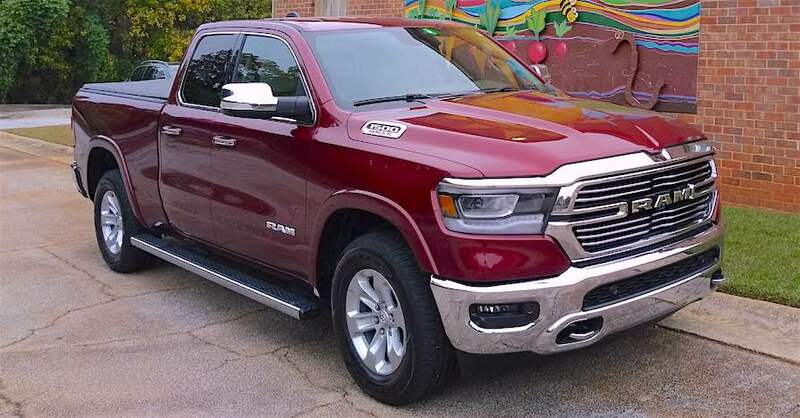 These vehicles come equipped with charging ports — which are somewhat like a car’s fuel tank filler — and a 10-gauge extension cord, typically measuring 15 feet to 25 feet long. 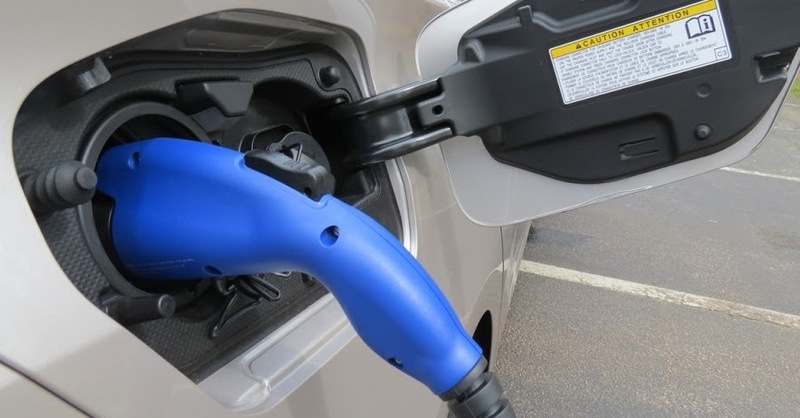 The cord provides an essential connection between the car and a charging source, such as a standard 120-volt household outlet. For faster charges, upgrading to at least a 240-volt outlet is preferable. In order to do this, you can purchase a wall-mounted box separately and have a licensed electrician install it. 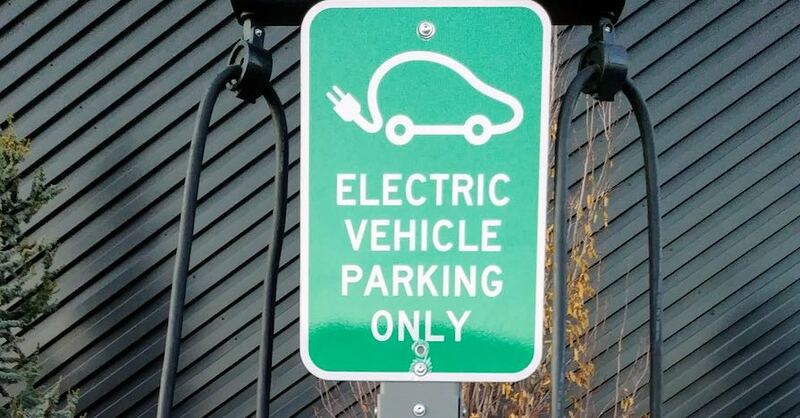 Thus, the box, cord and plug together are considered the electric vehicle service equipment (EVSE) — a more accurate term for an electric car charger. Connecting the cord to a car is similar to refueling with gasoline. A door located somewhere on the vehicle’s exterior conceals a covered outlet, offering five ports to supply a connection. Two ports deliver AC power, a third port offers proximity detection — a mechanical switch that verifies connectivity, a fourth serves as a ground wire, and the fifth facilitates communication between the car and the cord to deliver the correct amount of current. One end of the cord has a nozzle-like connector with an attached cover. To charge your vehicle, detach the outlet and cord covers, then press the insert switch on top of the connector and hook up. 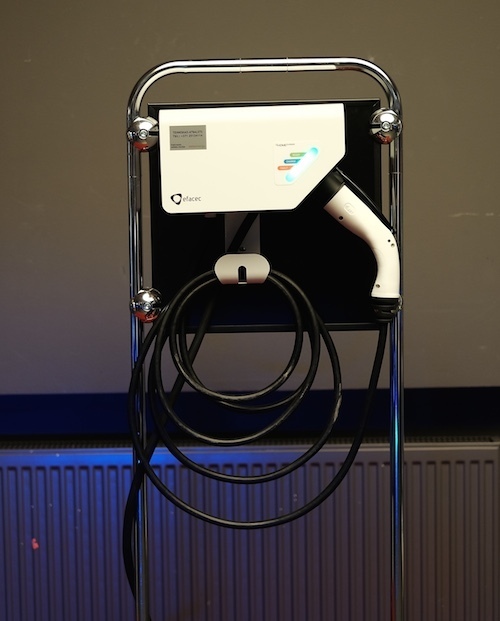 Once connected, the electric car charger cord automatically draws alternating current (AC) from the charging source and converts it to direct current (DC) inside the car to replenish the batteries. A chemical reaction inside the nickel-metal hydride, lithium polymer or lithium-ion battery pack stores DC power. Energy dispensed through the electric powertrain supplies propulsion. A display panel located somewhere on the cord itself provides a readout, indicating when the battery is charging as well as when the process finishes. Similarly, car manufacturers display that information inside the vehicle, usually on the instrument panel. The other end of the cord features a four-pronged, 14-gauge plug with insulated pins that connects to the power source. Until replenished, power continues, then the system automatically shuts down. At this point, you’ll detach the cord from the car and the outlet, storing it in the bag or case provided with your vehicle. Check out all the electrical system products available on NAPA Online or trust one of our 17,000 NAPA AutoCare locations for routine maintenance and repairs. For more information on an electric car charger, chat with a knowledgeable expert at your local NAPA AUTO PARTS store. Photo courtesy of Matthew C. Keegan.